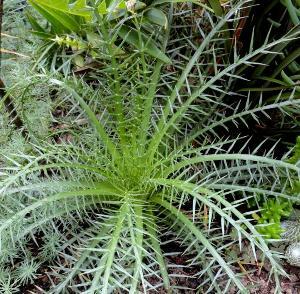 Eryngium venustum was formerly grown by us as E. umbelliferum. 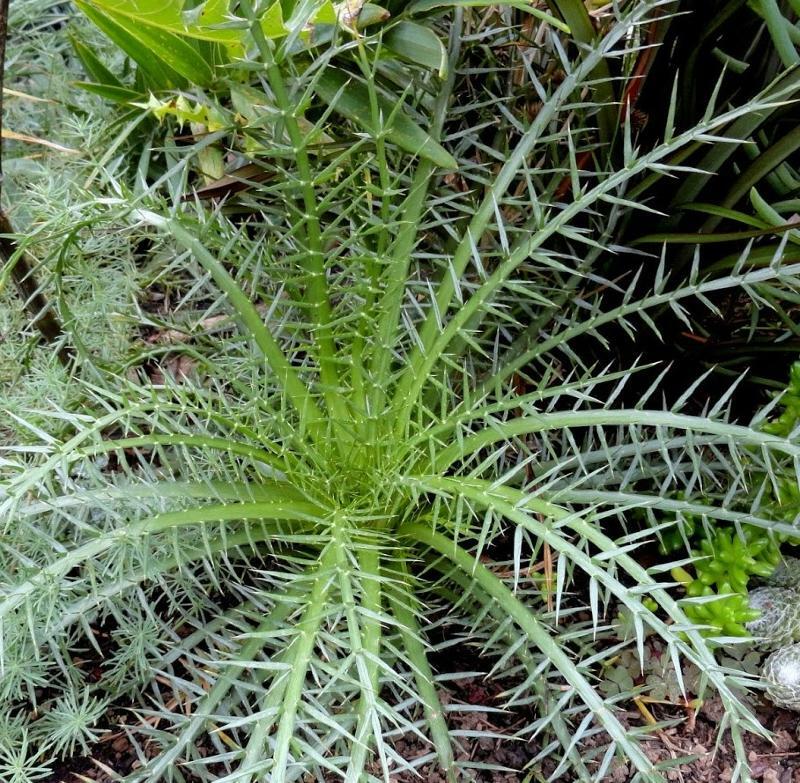 It has long deeply lobed leaves an unusual feature of Ernygiums . Forms rosettes of unusual foliage that has an almost variegated appearance. Flowers are greenish-white with silvery buttons that are borne on upright stems, useful for flower arranging. Prefers full sun and well drained soil. Hardy. Height 0.5m, spread 0.5m.